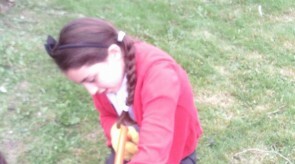 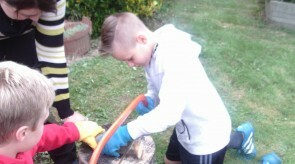 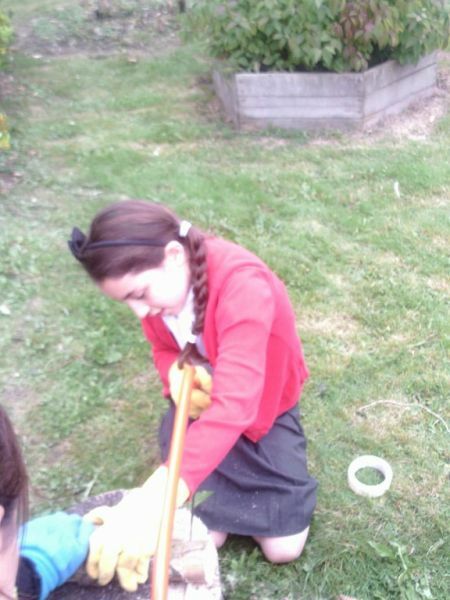 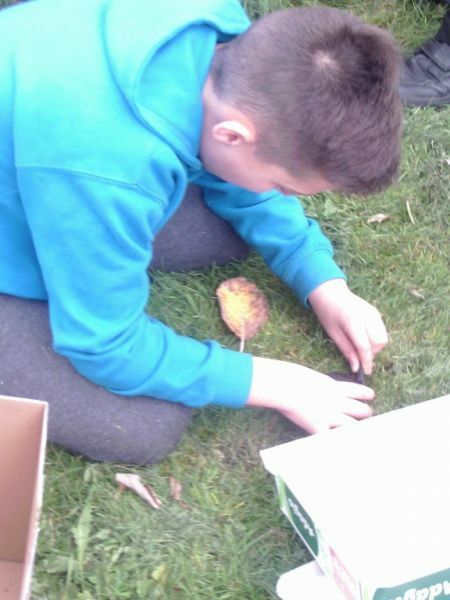 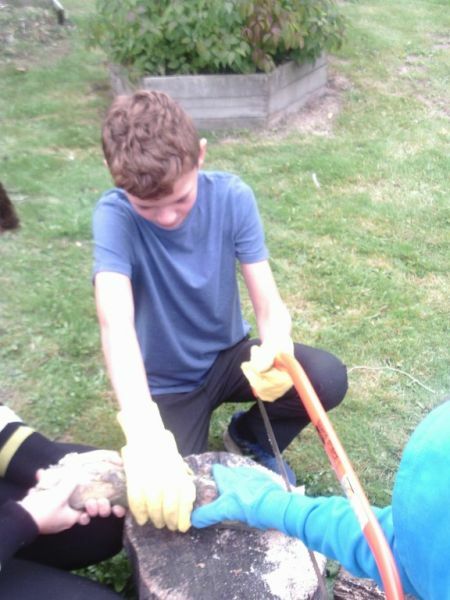 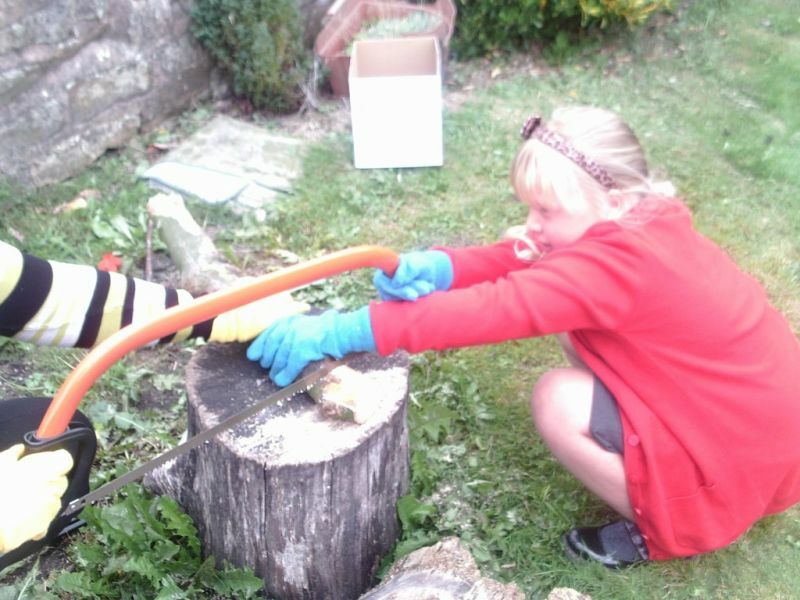 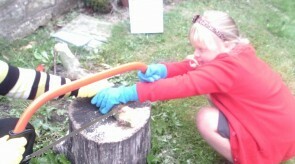 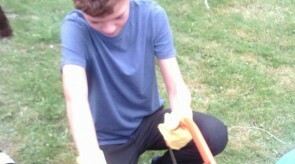 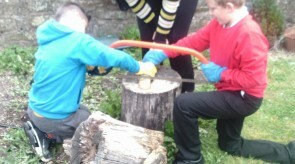 We made different weapons out of natural materials including bow and arrows, swords and daggers. 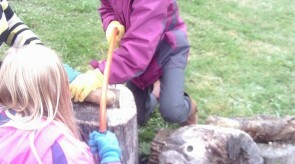 We used these to defend our forest school site from enemies. 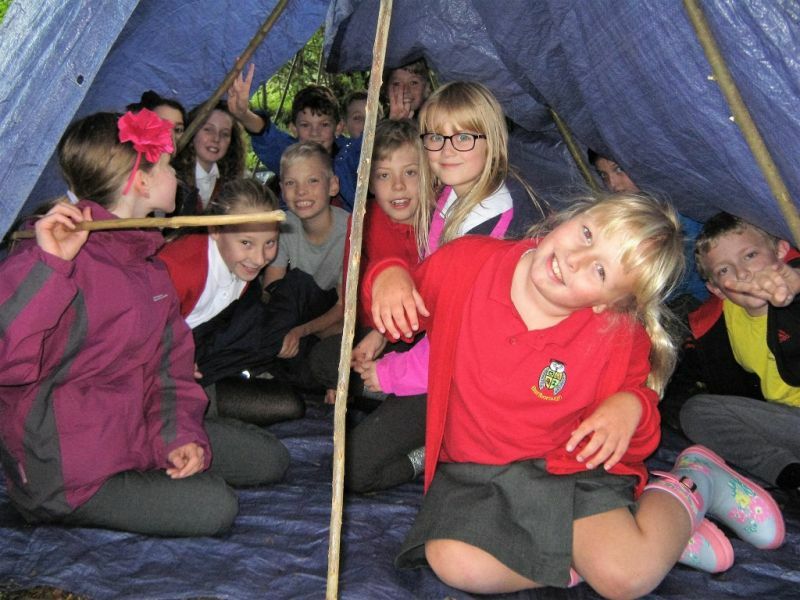 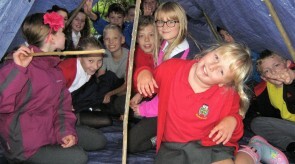 We worked as a whole group to set up a den big enough to fit us all in. 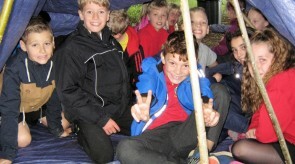 We had our hot chocolate and biscuits in our den. 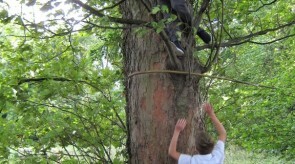 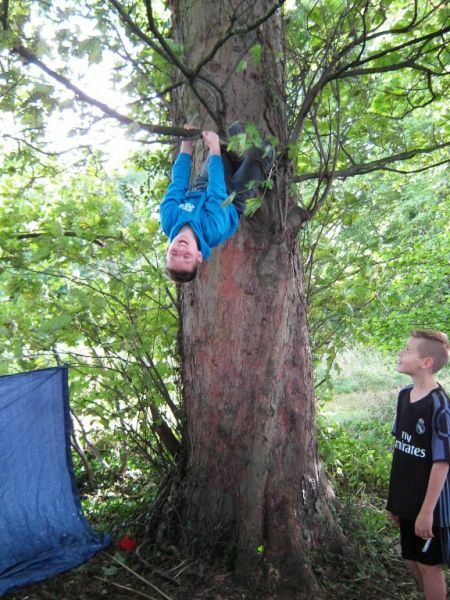 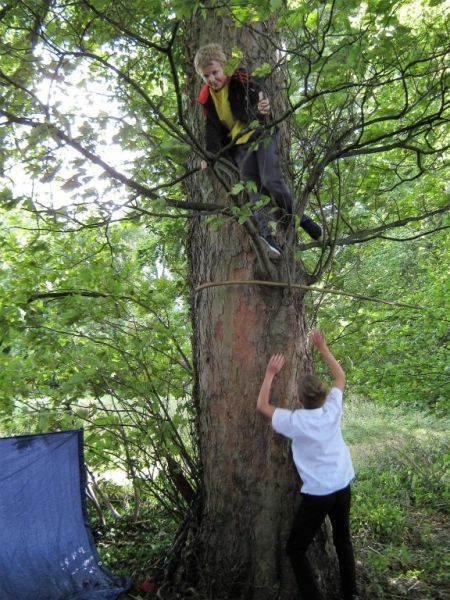 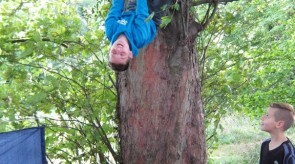 The children had great fun climbing up the trees and hanging around! 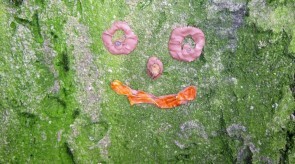 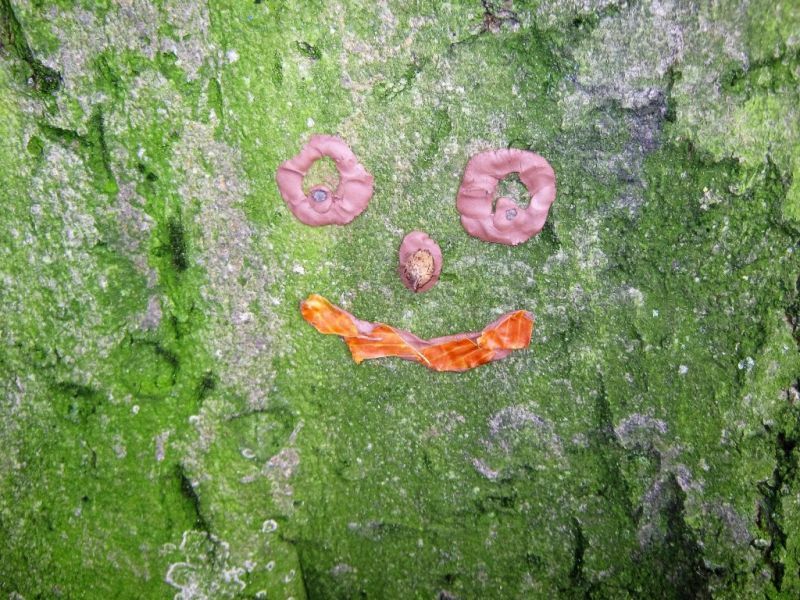 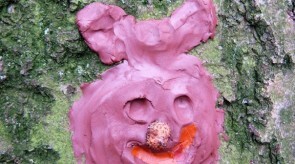 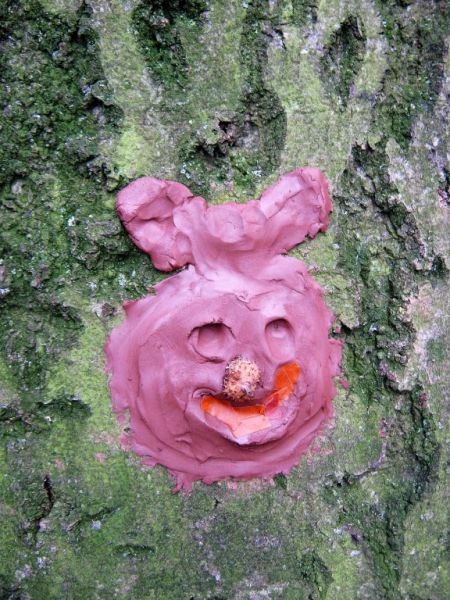 We used some clay to bring the trees to life with faces. 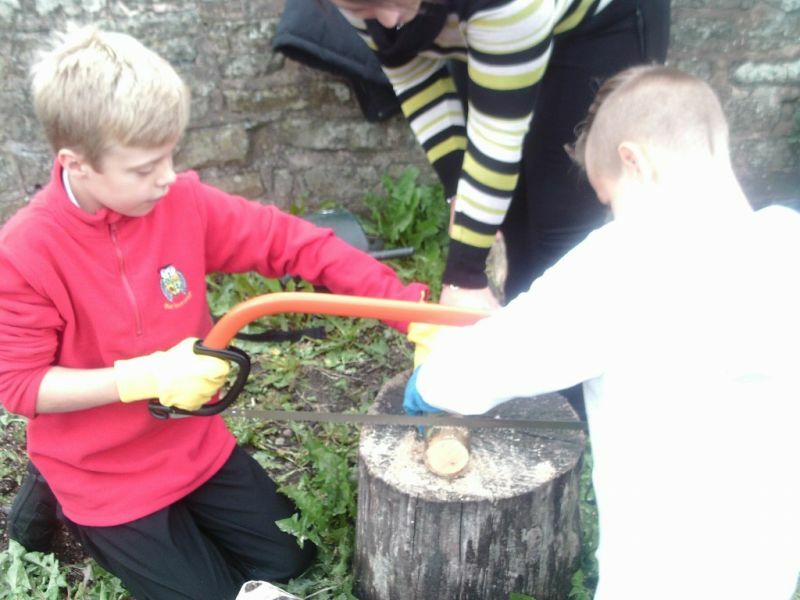 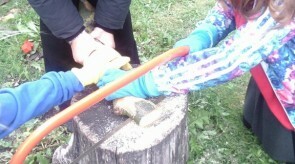 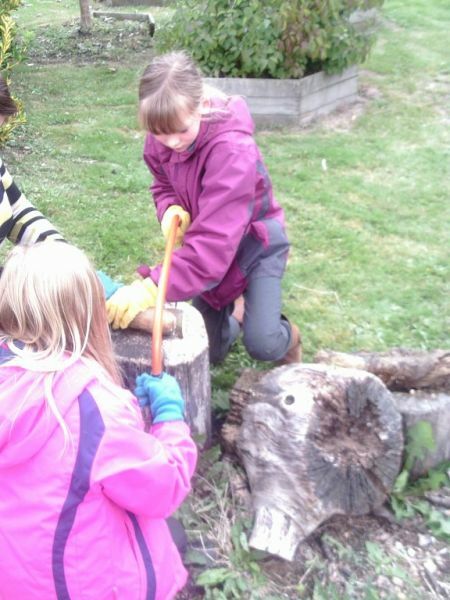 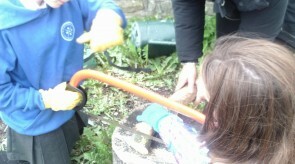 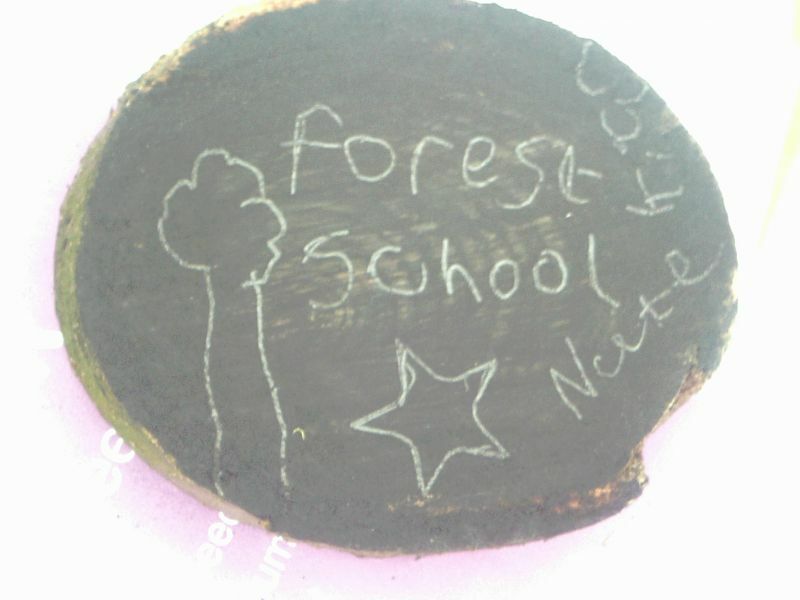 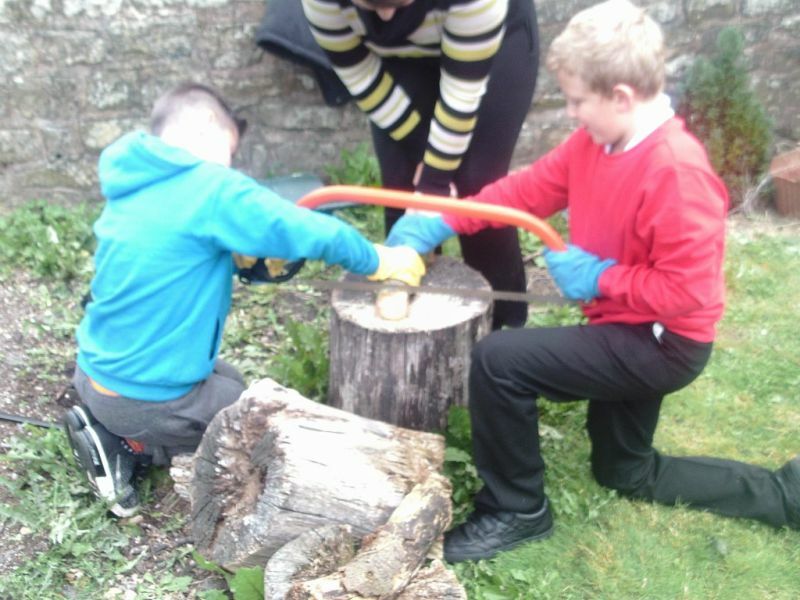 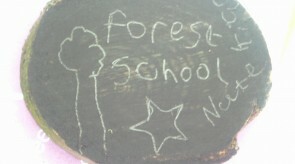 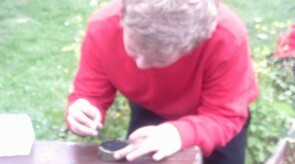 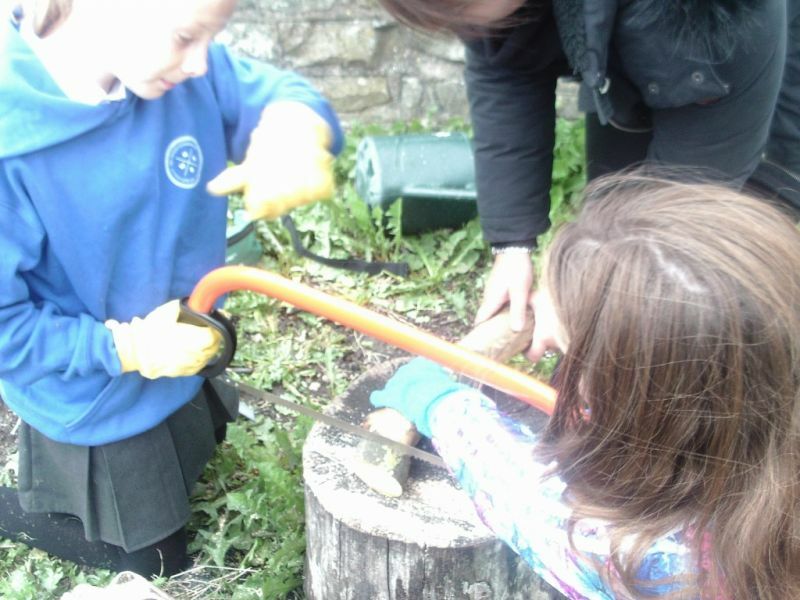 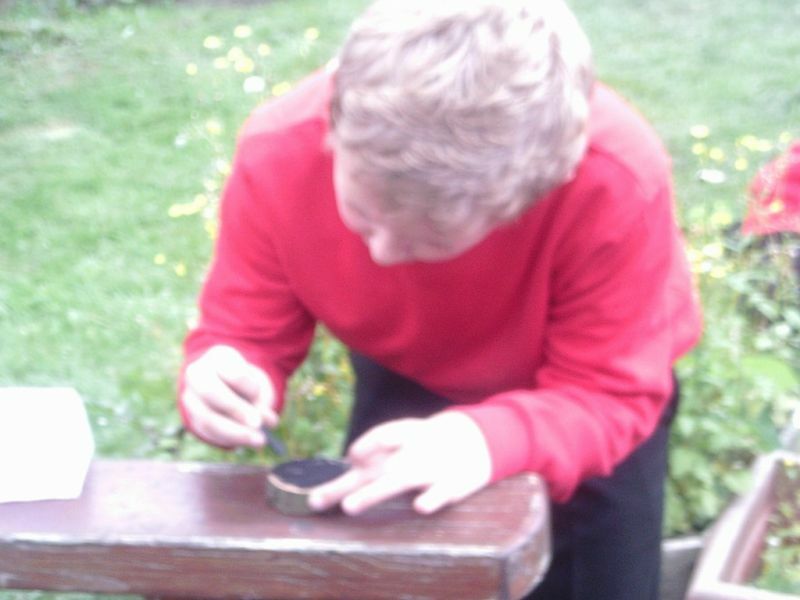 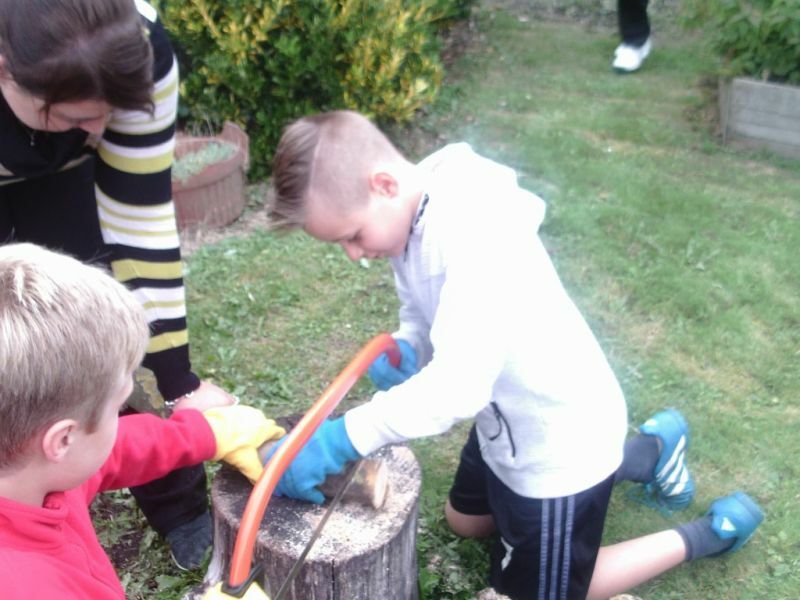 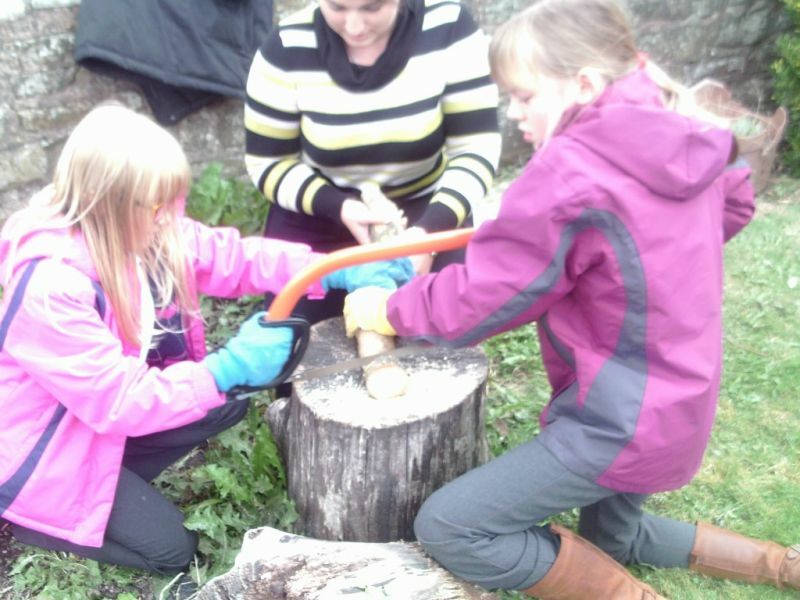 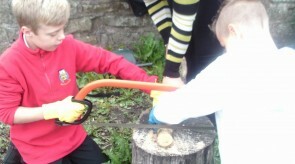 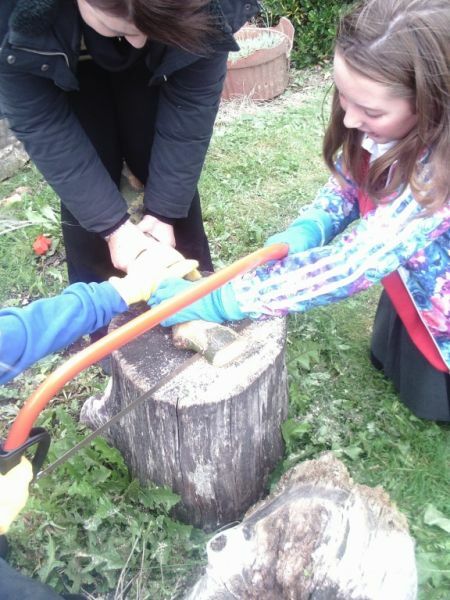 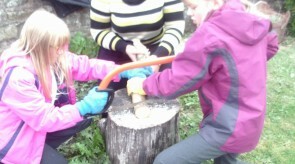 We used a bow saw to cut medallions of wood, we then decorated them to make them Forest School medallions. 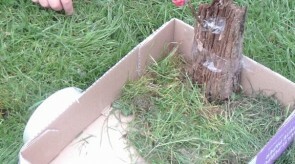 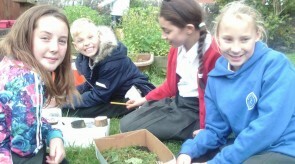 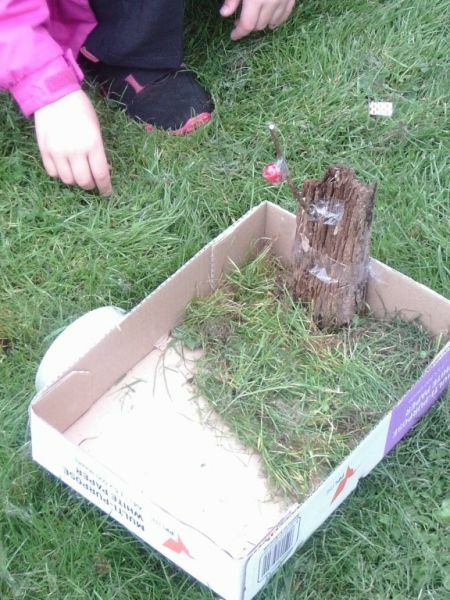 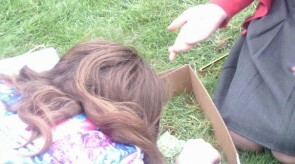 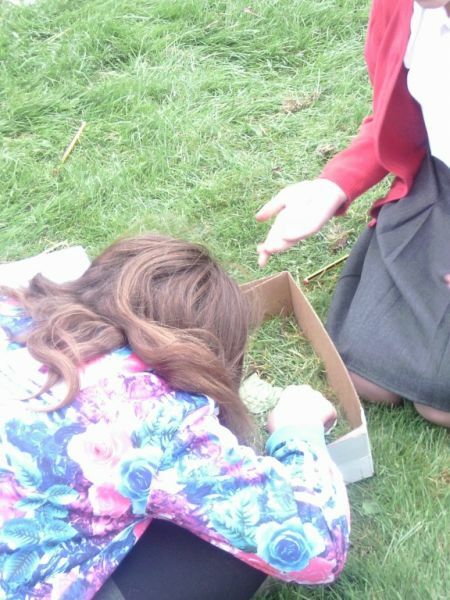 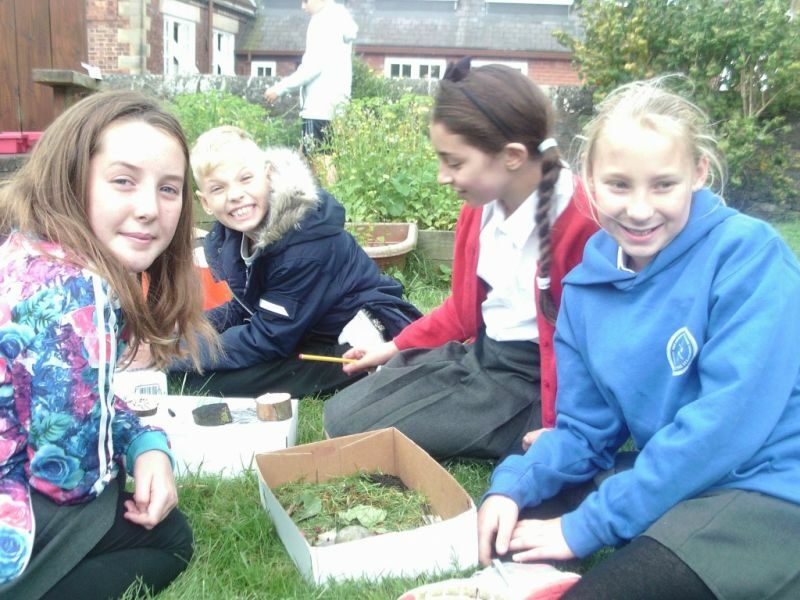 We created our own miniature forests using things we found in the garden. 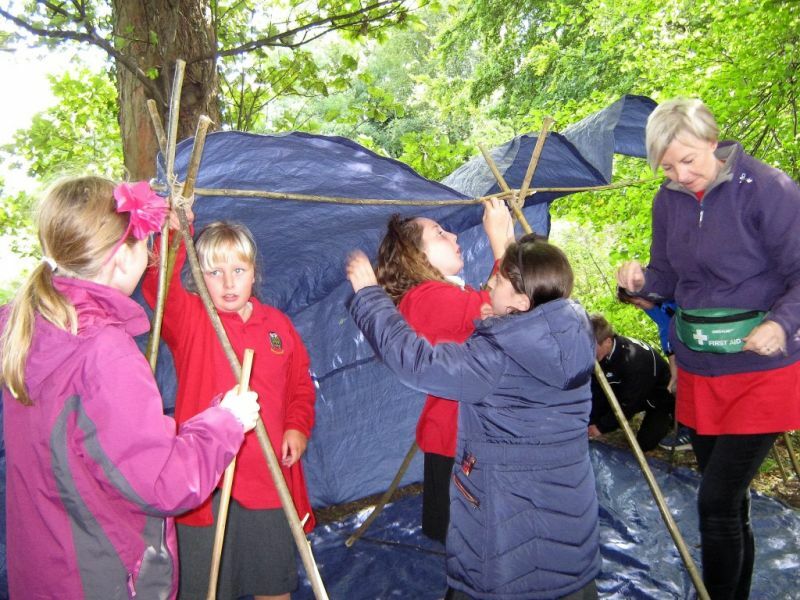 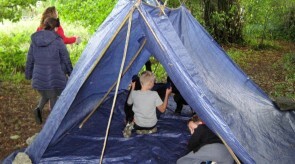 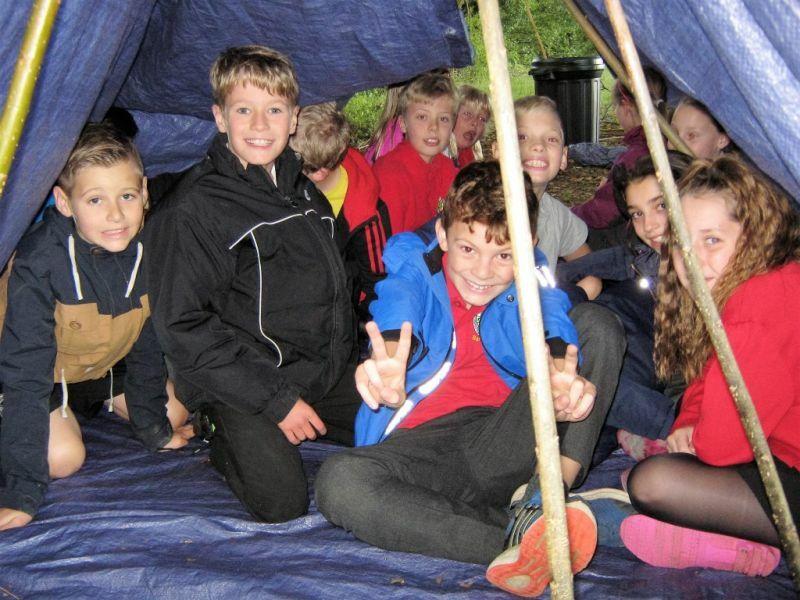 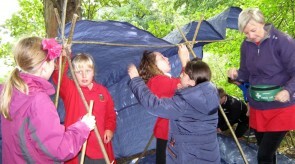 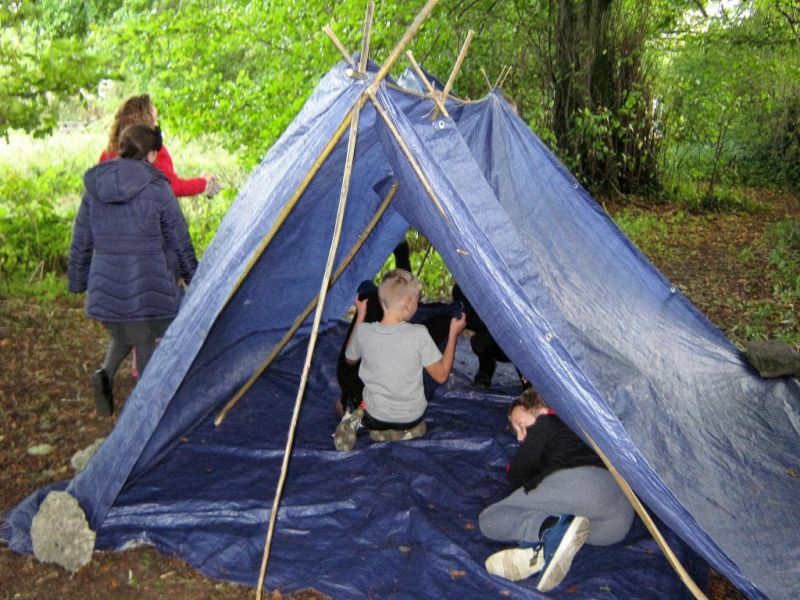 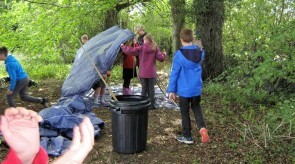 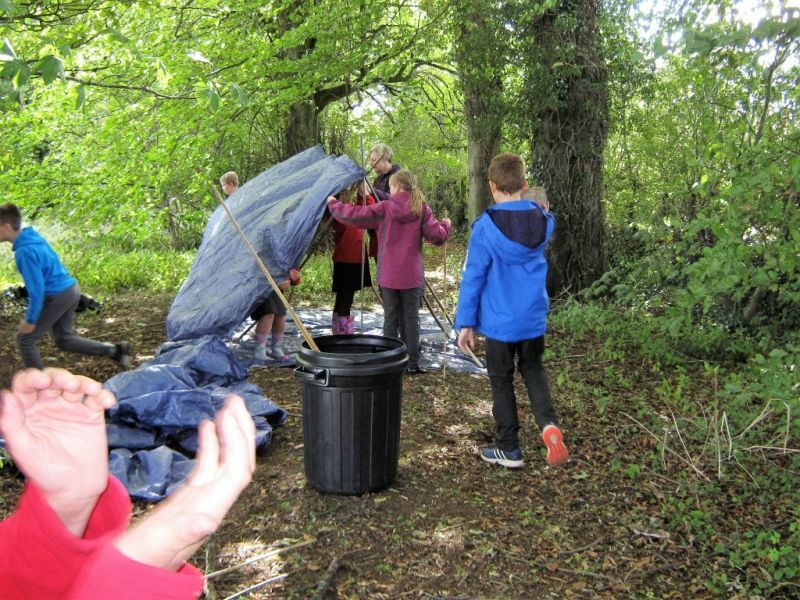 We set up shelters in the forest to keep us dry from the rain. 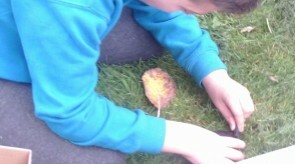 We then warmed up with a hot chocolate and snack.